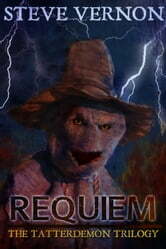 This is the final book of the trilogy - a fat monstrous volume of pure undiluted scarecrow terror. 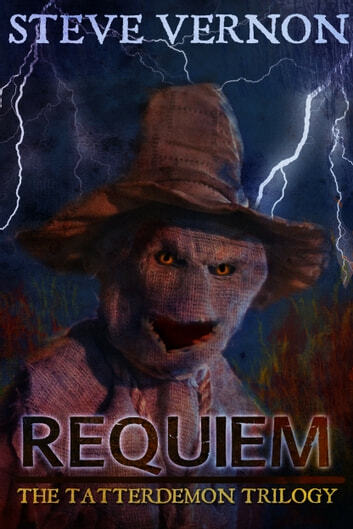 Maddy and Wilfred, Earl and Wendy Joe Joel go toe to toe with an unbelievable army of scarecrows. And let me tell you...these aren't your granddaddy's scarecrows. If you are a fan of good old-school "there's-something-weird-going-on-out-there-in-them-woods" kind of horror - the kind of horror made famous by novels like Stephen King's SALEMS LOT or Stan Winston's PUMPKINHEAD then you will DEFINITELY enjoy TATTERDEMON.